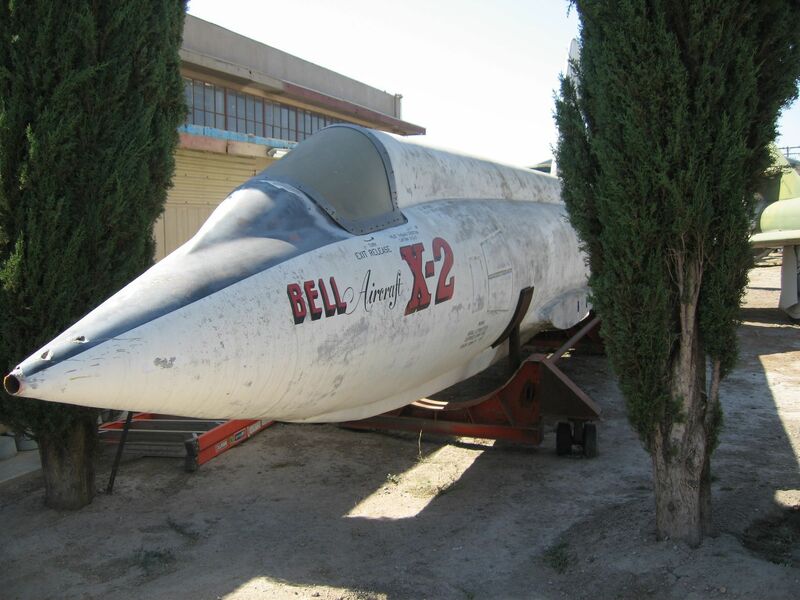 In the back lot of the Planes of Fame Museum located in Chino, CA is a full-size replica of the Bell X-2 StarBuster research aircraft (s/n 46-674). The replica was built and used as a prop in the 1989 pilot episode of the NBC TV series “Quantum Leap”. It was also used in several other movies, including “Space Cowboys”. Constructed out of fiberglass and foam in less than 10 days, it now sits, wingless, on a wheeled dolly poking its nose between two trees. Even after sitting outside for many years, it is still in remarkably good condition. 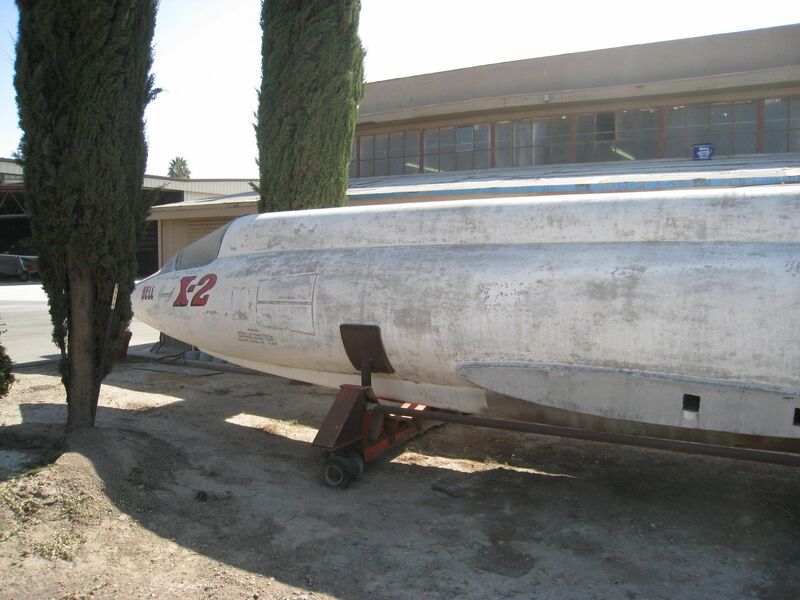 The X-2 was a very significant test vehicle, and was instrumental in advancing high-speed aerodynamic research. On 27 September 1956, Capt. Milburn G. “Mel” Apt, flying the real X-2, became the first man to fly faster than three times the speed of sound (Mach 3.196). Unfortunately, he lost control of the aircraft when returning to Edwards and died in the escape capsule. The wreckage was recovered, and although many of the engineers wished to rebuild it, it was ultimately buried in an unmarked grave somewhere on Edwards Air Force Base.